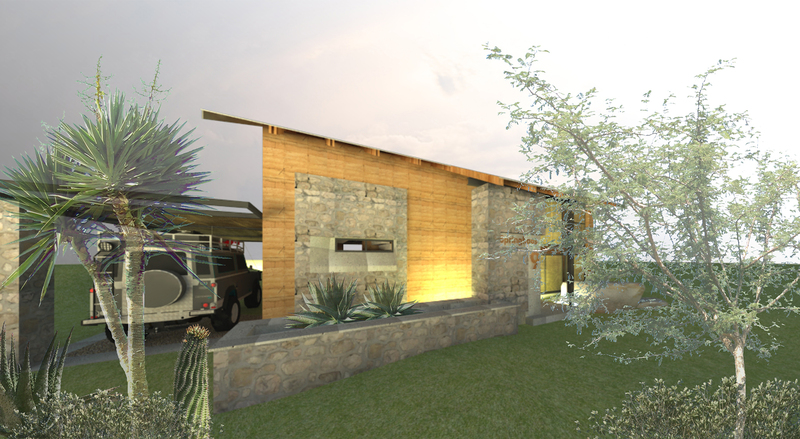 This project, still in planning phase, will be located on the periphery of the town of Upington in the Northern Cape. Upington serves as gateway for tourists to the Kgalagadi Transfrontier Park as well as Namibia, the Richtersveld and Namaqualand. The purpose of this lodge is to provide upmarket overnight facilities for tourists to the region, especially those travelling by either tour bus or vehicles with trailers. Architecturally, the aim is to create a lush oasis in the desert, with green gardens, fever trees providing lots of shade and a large swimming pool located in the central area. Structures are designed as a response to the desert climate and reflect a Northern Cape identity, by careful choice of colour and textures as well as reed screens which will filter harsh sunlight. Double storey units will overlook the red dunes nearby.